I recently read to novels that would be considered read-a-likes on a bookstore shelf. (You know the shelf-talkers that tell you if you like X-book, you’ll also enjoy y-book.) Both appeared to have similar goals, even similar protagonists, but both addressed a key characterization point in a ver different manner: the protagonist’s passion. The first book I read of the two was When Dimple Met Rishi by Sandhya Menon. I saw this book on many summer reading lists last year and thought it sounded like a fun storyline. Dimple is a recent high-school grad who has just been accepted to a prestigious summer coding camp. She is shocked when her conservative Indian parents agree to let her attend. What she doesn’t know is that her parents have coordinated with another couple to arrange a marriage between Dimple and their son, Rishi, who is also attending the same camp. The book is a light romantic comedy and was, on the whole, a fun summer read. But I was a little put off and couldn’t figure out why. That is until I encountered My So-Called Bollywood Life by Nisha Sharma. In this YA novel, Winnie, a aspiring film-maker and Bollywood-enthusiast finds her life-plan completely derailed. She was given a prophecy at birth describing her true love, but her high-school boyfriend who matched the description to a T has cheated on her, not to mention her aspirations to run the student film festival are looking a little rocky. But why did I have such a stronger reaction to My So-Called Bollywood Life over When Dimple Met Rishi? I would have thought that I would have related more to Dimple with her experience in code over Winnie’s expansive Bollywood knowledge. But Sharma did something in My So-Called Bollywood Life that I didn’t experience in Dimple’s world. I got to learn things about film that I didn’t already know. I never even got to experience Dimple coding. Not once. Both novel’s have themes of appreciating family and culture, exploring one’s future, and pursuing dreams whole-heartedly. But I think the last theme was done more effectively in My So-Called Bollywood Life. 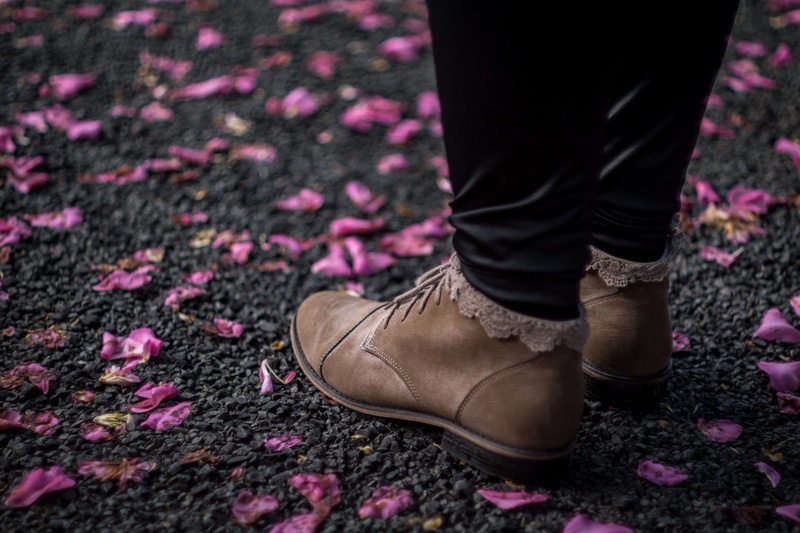 As writers, if we want to encourage young women to pursue fields that are usually dominated by men, by placing a young female protagonist in that field, we ourselves, must show an interest in that field. 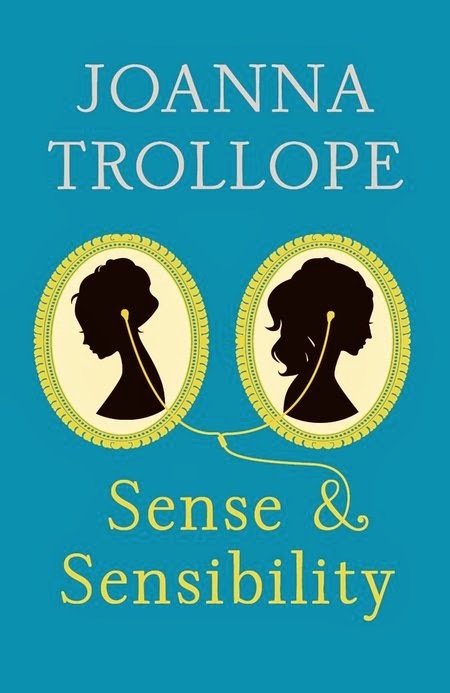 For Dimple, I felt the effort of her story was cheapened by a lack of attention put in to understand coding or how that may fulfill the female protagonist.despite the entire book taking place at a coding camp, there is never any coding happening in the book. We never get to experience Dimple in action and how that makes her feel. On the other hand, we do get to experience Rishi’s passion—drawing— and how that makes him feel. For a book targeted to young women, I certainly felt an inequity here. In some ways, I thought there was more importance placed on pursuing a relationship with a boy than fulfilling a life calling or dream. Sharma let us experience was it felt like for Winnie to splice film and talk about equipment. Was I able to totally understand as a non-filmmaker? Not entirely, but I did believe that Winnie understood and I got to feel a little bit of what her passion awakened in her. Menon’s second novel was released this summer has a female filmmaker protagonist. I have not read From Twinkle, with Love, but I hope she was able to take a queue from Sharma and show young women what it is to live into your passion realistically. What about you? Have you read My So-Called Bollywood Life or When Dimple Met Rishi? What did you think? 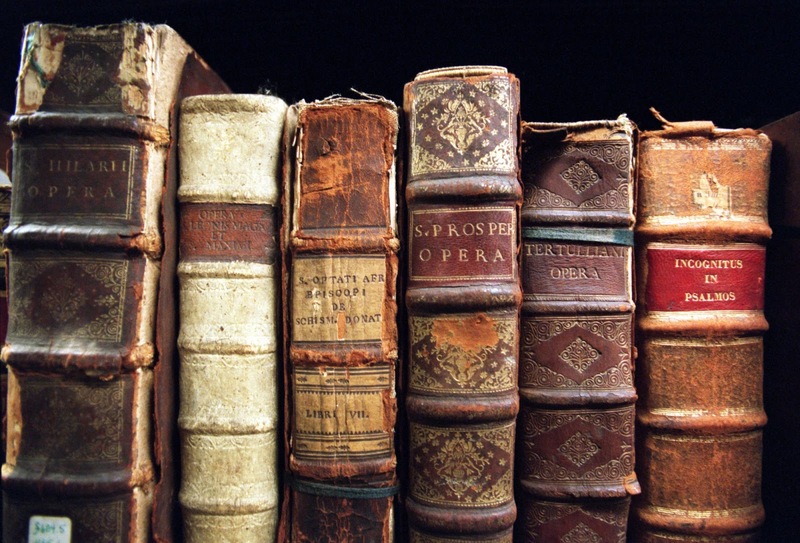 What books do you think demonstrate the importance of pursuing a passion? What authors have you read that demonstrate a character’s passion well? I’d love to hear from you in the comments. Until then, keep on reading! Green’s latest releases this winter with great pre-release reviews. I love her attention to detail in her beautiful and sweeping historical fiction novels. This colonial-set work promises to keep rank with her Christy-Award-winning Mark of the King. I’ve so enjoyed Brown’s Red Rising trilogy. I honestly don’t know if this novel is part of that series or a new story set in that world, but I don know Darrow’s in it and I’m down. I am so down. Rachel McMillan debuts her new protagonist Hamish DeLuca. That last name might ring a bell—he’s the son of Jem and Ray DeLuca of Herringford and Watts fame. A mystery set in Boston in the thirties—I am all about this book! Also, have you seen that cover? Moore always makes me laugh and his so clever in all his creative choices. I’ve been drawn into the pulp genre thanks to Lord Huron’s album and can’t wait to get Moore’s satirical take. Ella Enchanted is probably my favorite book of all time. The Two Princess of Bamarre is the first book I hated. Both are by powerhouse YA and middle-grade author Gail Carson Levine—my fairytale retelling hero. So you can see why I’m on pins-and-needles to see which end of my book-spectrum this novel lives up to. Joy Beth Smith is someone you need to follow on Twitter. Like now. Her book—which I’m sitting on an advanced copy of—is fabulous and I can’t wait to dig deeper into it over the break. Access the first chapter here. Love heartbreakingly true stories? Then this memoir needs to be on your list. I’ve been saving it for the long winter days ahead and have the kleenex stocked to go. 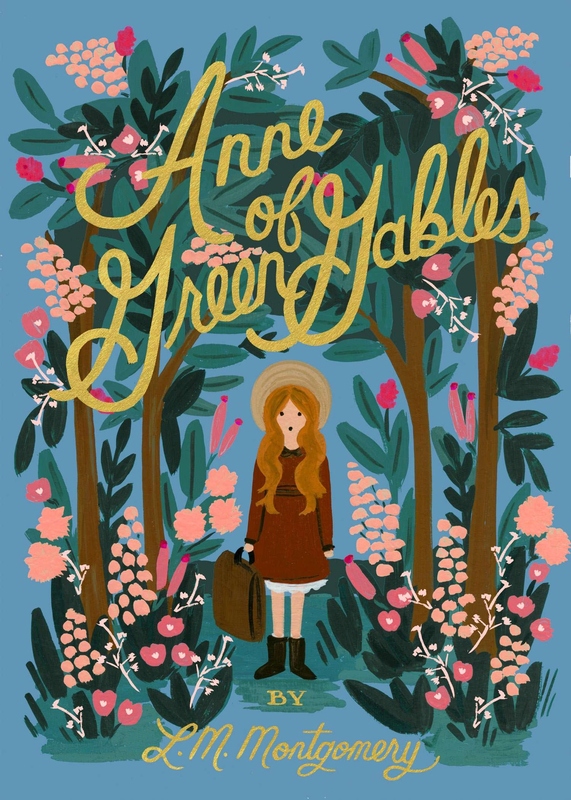 It doesn’t even have a title, but I’m so ready for Anne’s essays on the reading life. Her charm and bookish knowledge blow me away weekly on her podcast. And who doesn’t want to read more about reading?! This is my book club’s next pick and I’ve already cracked the spine. It’s a call back to the wonder and mystery of our faith in the everyday. I fully stand by the intro, and hope to stand behind the book as a whole soon! A friend recommended not that I simply read this, but that I go out and buy a good copy because I was going to want it around for a while. I respect this friend’s recommendations and I do what she says, dammit! This one is for new-project research. That’s all I’m gonna say. This one’s for new-project motivation. If you asked me in January, I would have said I was the farthest thing from a sci-fi fan. And then I encountered Pierce Brown’s debut, Red Rising. High stakes, highly original world, great themes of loyalty, love, sacrifice, and war. I would recommend this for fans of The Hunger Games and The Warded Man. Buxbaum writes with such strong voices for her two POV protagonists. I loved the unreliability of both narrators without this being Fight-Club situation. YA in all it’s relatable-yet-dramatic glory. A great, short read for fans of John Green or Jennifer E. Smith’s books. Rainbow Rowell has a collection of work I aspire to—great YA novels on top of funny contemporary novels, one with a dash of magical realism. Landline is packed with great pop-culture references, great character predicaments, and a magical phone. Seriously, could you want anything more? 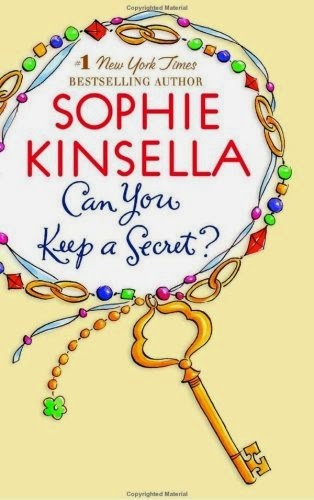 Perfect for fans of Sophie Kinsella or Meg Cabot. The sequel to A Cup of Dust, Finkbeiner ups the ante in Pearl Spence’s world in the most heartbreaking and best way. I love the warmth of her historical fiction paired with characters that make me think of home. And one in particular that may literally harken back to yours truly…The second in a great series for fans of To Kill a Mockingbird or Jocelyn Green. Another convicting read, Shin’s debut book brings our culture’s racial tensions to the forefront of the church with such grace and wisdom. I think every believer needs to read what she has to say. This book is a worthy discussion about our full identities—ethnicity included—being valued in the diverse body of Christ. Great follow up read for those who enjoyed The Myth of Equality or The New Jim Crow. I’m a total personality nerd and have loved Anne’s podcast. Reading People was the best of both worlds—Anne’s wonderful insights and so much personality discussion. Because of this book, I’m now aware I am a Highly Sensitive Person (HSP)—which those closest to me have apparently known and assumed I knew as well. A great book for those obsessed with Myers-Briggs or the Enneagram. Wilson’s humor and insight into the gospel have made this book one of my most recommended of the year. With snark and wisdom, he sets forth a call back to simple, gospel living. I’ve found his work so refreshing in a publishing landscape so saturated with a feelings-based theology. I would recommend this one for readers of Mike Cosper or Jen Wilkin. I love a good travel story and Tsh Oxenrieder has a few. Her memoir documenting her family’s around-the-world adventure was the perfect vacation read, especially as I got to walk in their footsteps through Italy. Her insights on home and place have stuck with me. This is a great memoir for those who enjoyed Chasing Slow or Bread and Wine. What were your favorite reads of 2017? Share in the comments below. A sweet friend who recently graduated asked me to write a post about what being in that position was like. I blogged a lot during that season of life. (Some of which you can read here, here, and here.) The truth of the matter is, it still feels like I’m in the middle of that season. It’s only been three years since I’ve been out of school. I’m still waiting for someone to figure out I’m a fraud, but if I’ve learned anything, it’s that we’re all waiting for that. This has been three years of riding on God’s grace and taking each opportunity in stride. I’m definitely no expert, but some dear voices have spoke into my life. I’ve had some wonderful guides in this no-mans-land and I’m so grateful. Some of these voices have been writers who’s words have come at just the right time with a message I deeply needed. So, for anyone out there who’s trying to figure out what on earth is next, here are some of the books that guided me along my way so far. Leaving behind my college community meant investing differently in relationships. Friends were no longer just down the hall or across campus, They were across town or out of state. It was going to take more of an effort. Being in close community is something I have to be more intentional about, but it is something I need. 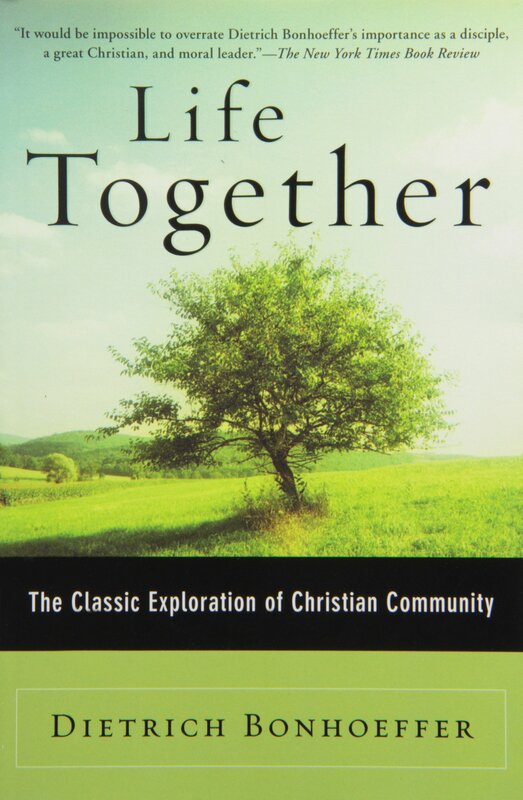 Bonhoeffer unpacks a beautiful vision of what community in the church is supposed to be. The first chapter alone is a game changer and is full-to-the-brim with encouragement and challenges for those establishing a community. One of the beautiful things about finishing school was being able to read what I wanted. I began reading childhood favorites. It’s been so fun. The new Bible College Spinster series is coming for a search for what it means to be a well-rounded and thriving single person. Part of what has been important to me in the search is being a woman. Hands-down, the most influential book in my time out of school has been the bible study, 5 Aspects of a Woman. Mouser’s in depth look at what God intended in creating woman has been a huge encouragement. I recommend this not only for women, but for men as well. I learned so much about my brothers in Christ while pondering the implications of this great book. This season of life requires a sense of humor. It also requires some brutal honesty. Angone provides both in this great book on what on earth this season of clueless and tension is all about. “Groan” is such a good word to use for what those post-grad months (and years) feel like. He unpacks what he took from his own journey and shares them in such a graceful and loving manner. In a time I was shrugging my shoulders about my life, a friend passed along an excerpt of the book and I went right out and purchased my own copy. If I was wealthier, I would buy this book for all my college grad friends. I was looking for a book to wreck me and this book fit the bill. This book is deep and difficult, but when you’re suddenly without homework, you have time for deep and difficult. Or at least you should make time for it. I’ve been wondering if it’s time to look at grad school and, honestly, I’m still on the fence. But for anyone wondering if that’s next on the docket, Weber’s memoir is so good. And even if you’re not wondering that, it’s still so good. 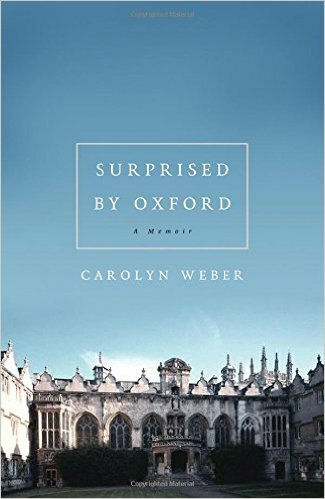 She describes her testimony—which takes place during the first year of her master’s program…at Oxford. 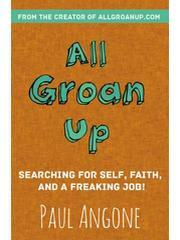 Part spiritual memoir, part bookworm feast, part romantic-comedy—it’s just a fun book. Probably the hardest thing to learn in this season is that things do not go your way. More times than not, things just won’t come together the way you planned and sometimes that is painful. Being turned down for jobs, or even not getting an interview. Waiting for a significant other. Looking for healthy community. There will be times we don’t get what we’re looking for. Shauna’s look at beauty and brokenness side-by-side was like medicine to my heart. I read it after exiting a pretty toxic community. Her vulnerability spoke right to my ache and I’m so grateful for the healing that came from this book. As I writer, I rarely find myself without words. After my mentor passed, words were hard. And eventually I began to process what had happened and how I felt and I began to heal. The words returned and I was able to embrace a new normal. Still, there were parts of what I was experiencing that I still didn’t quite have the words for. Narrative is a powerful thing. 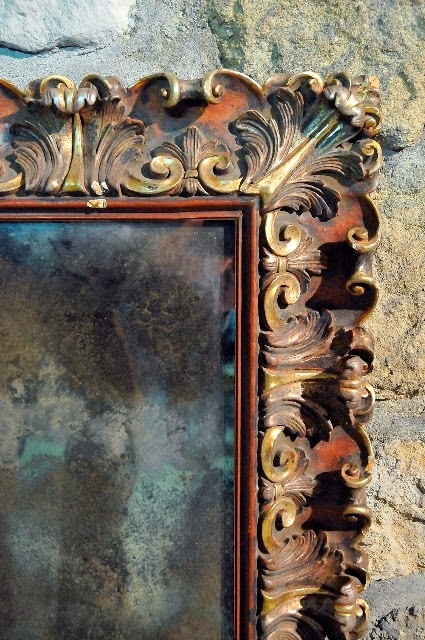 I’ve heard it described as a tarnished mirror. You see what is happening on the surface–the characters, the conflict– like the marks on the glass’ surface. But if the narrative is truly doing its job, you begin to see beyond the marks on the glass and actually glimpse your reflection. You see a little bit of your own heart and nature as you observe the joys and griefs of the characters. The injustice makes you angry, but it also forces you to observe the injustice in your own mind. There is something in the power of narrative that is humbling, eye opening, and, at times, earth shattering. About a year and a half after my mentor passed, I encountered a book that achieved this for me. I’m sure you’ve heard all the buzz surrounding The Fault in Our Stars this summer. John Green wrote a fabulous novel about two cancer-riddled teens falling in love. A lot of kiddos believe it to be a great love story that pulls at the heart-strings, makes one run out of kleenex, blah, blah, blah. But there was something in the way Green wrote Hazel’s narration. He got it. It was all there. The tension of living with someone who is dying. The pain, the awkwardness, and even the humor–because there is a humor that comes out of it. John Green had happened upon something I hadn’t in a long long time. And it was so clarifying and freeing. After I finished the book, I continued to sit and I just cried. Tears of grief because I missed her, tears of joy because I know where she is, and tears because I had been given a little bit of myself back. I’m forever thankful for that novel. I cried. I cried a bunch of times, but not because it subtracted from me, but because it added to me. It opened up the mysteries of life and love and hurt for examination and for understanding and I think that’s something that world needs more of. I agree deeply with this statement. Sad things for the sake of sadness take from us. They take joy and hope and balanced outlook. But then there are sad things that better us. That give us hope, renew our trust in God, and bring us closer to truth. That’s what The Fault in Our Stars was able to do for me. A dear writing friend of mine, Susie Finkbeiner understood our need for understanding of hard things as well as the need for that to add to us rather than subtract from us. Her book, My Mother’s Chamomile, explores the journey of a family of funeral directors in a season of loss. 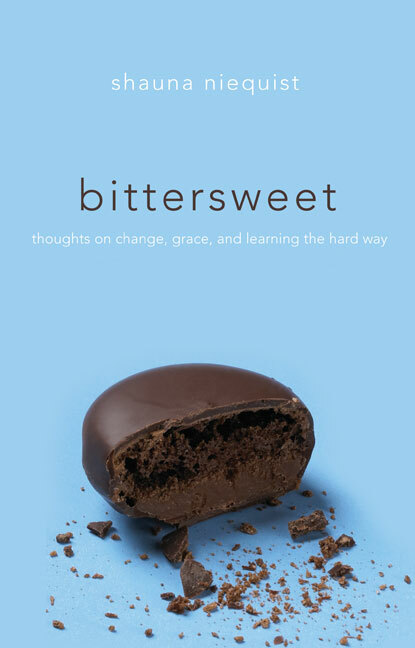 Susie used her own grief as well as those graciously shared with her to make a beautiful story that rings true and brings hope in the midst of sadness. I cried many times through the course of reading, but in the end, I was added to. God was able to expand my capacity for hope in the midst of pain as well as my understanding of the human heart. I so appreciate Susie’s willingness to go to the hard places of her own pain as well as her passion to tell a story dripping with truth. She has done a fabulous job and I would love it if you would take the time to read it. So why am I writing about this? 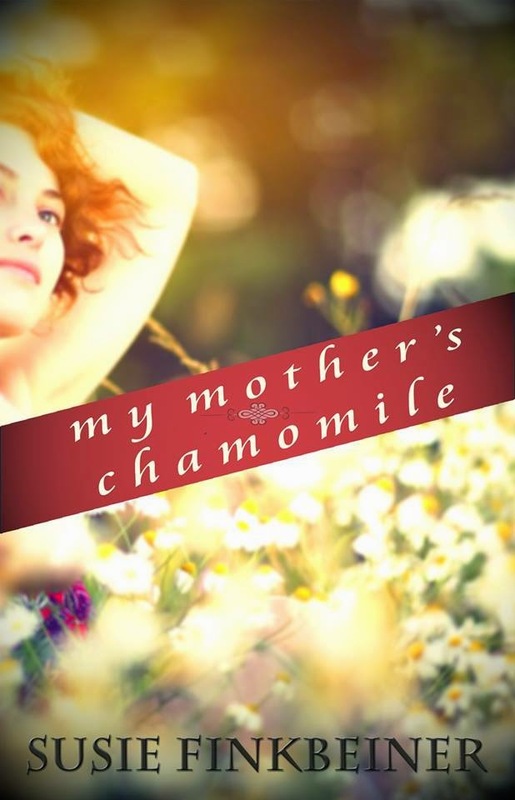 Well, for starters, starting on Thursday, My Mother’s Chamomile is $0.99 for Kindle readers and I think you should buy it. But also, I think it’s important to know what narrative can do for us. That God uses all things for his glory including fiction. And sometimes that fiction can be healing. Stories that reach into the depth of our nature when we feel the most human do something to us. We are being invited to be added to. To understand the pain of someone else, but also to understand our own hurt and hope. This is why I love what I am called to do. I hope one day to be able to write something that will provide what these stories have provided me. What stories have been powerful in a dark season for you? Do you have a story that helped you in the grieving process? Dear friend and awesome author, Susie Finkbeiner introduced me to the Empty Bookshelf Challenge this year through her blog. This was started by Jon Acuff and I think it’s absolutely brilliant! If you’re following me on Goodreads, you may have seen the list I’ve been building over the past six months. 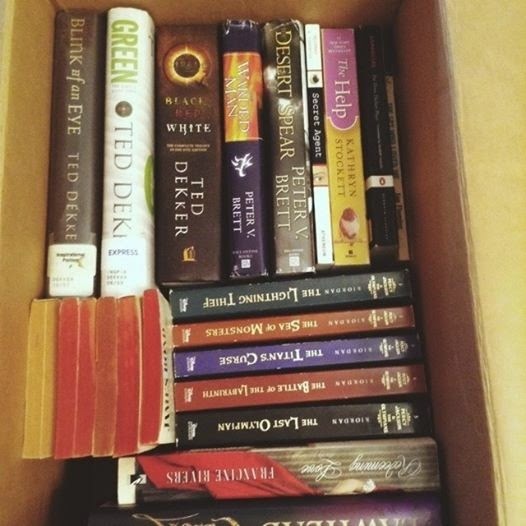 You are supposed to empty a shelf in your house and fill it with the books you’ve read from December 31, 2013 to December 31, 2014.
were quickly filled after unpacking my books. 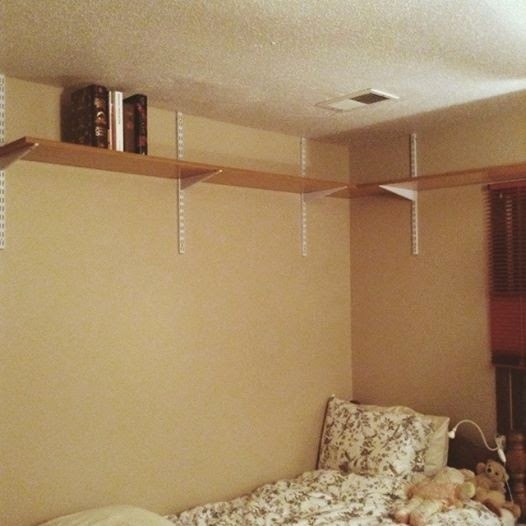 I don’t have a house, I just have a room with not a lot a shelves in it so I thought I’d just keep a list running on Goodreads instead. So here at the half-way point of this challenge, I can tell you that I have read a lot more than I did the year before… mainly because 2013 was the year of the undergrad thesis. Sure I read a lot for that, but it was journals and historical documents and my own writing. Bleh. I have LOVED having the freedom to educate myself again and have been reading many varied things as a result. So I thought I would break down some of my favorites from the year so far. A dear friend introduced me to the world of Lott telling me that she luffed him. Not love, luf. It’s much deeper. Well I luf him now too! This book is a wonderful collection of essays on Lott’s musings on being a writer and a Christian. I loved his essay on precision–wonderful subject to think on while drafting a novel. Reading it to the student writing group I am a part of produced some great discussion. His essay on Flannery O’Connor is a great tribute to the short-story goddess. The friend who introduced me to Lott told me upon reading it that everything he says about O’Connor can be said about him. I have to agree. He has developed the wonderful talent to get out of the way of his writing and let is stand on its own legs. Great writer with some great thoughts! There is a stigma that the works of Shakespeare have come to own. It’s not necessarily a bad thing, but it’s just something I’ve observed. We look at them like this hallowed tombs that cannot be touched by any writer before or sense. Poppycock! And Christopher Moore has written the book to prove it! Fool is a retelling of King Lear from the perspective of the fool. Moore presents the tale to a modern reader as Shakespeare did to his audiences. Bawdy humor mixed with wordplay and obvious symbolism. His sensitivity to what Shakespeare was trying to do is carried through to perfection–to entertain. This book is witty, thought-provoking and just fun. Switching up my regular intake of fiction with some poetry, Like Lott, I found Cairns at Calvin’s Festival of Faith and Writing and LOVED his work. Idiot Psalms is a collection of musings on life and God and scripture. Throughout the collection are sprinkled the Idiot Psalms. Written in the style of the biblical Psalms, Cairns explores the trials and trivialities of every-day-life. My personal favorite is Idiot Psalm 3 which he wrote during an English division meeting at the university at which he teaches. These are just a few examples of what I’ve taken in the last six months. I’m excited to pick up the pace and read more in the back half of this year. What book have you read this year that stick out in your mind? Please share! I’d love recommendations for the next six months of reading. Hopefully you’ve received and opportunity this summer to go to a beach or a pool or at least somewhere you can relax in the sun. One of my favorite things to do on a warm summer day is to relax in the shade of the little pergola next to our pool. It is a wonderful work, writing, and reading space that I have really come to treasure in the time we’ve lived here. And honestly, summer is the time for beach reading. Something I also call candy reading. Those books that you can read in a highly distracting environment and still take in. It’s easy and simple and sweet. These kind of books may also be known as guilty pleasure reads. romantic comedy novels that are truly funny. Her heroines are sweet, snarky, and super relateable. I always find myself smiling like an idiot as I read the hi jinx of these sassy characters and hope you might as well. Some of my favorites include Can You Keep A Secret, Remember Me, and I’ve Got Your Number. Koontz’s market is usually middle-aged men, but I picked up this novel as a kid in high school and loved it. 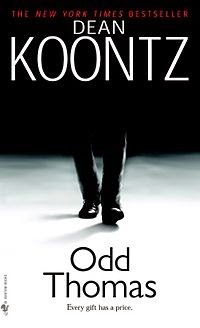 (It was recommended to me by a middle-aged man, if that helps…) Odd, Koontz intriguing main character with a supernatural ability, has a GREAT voice. 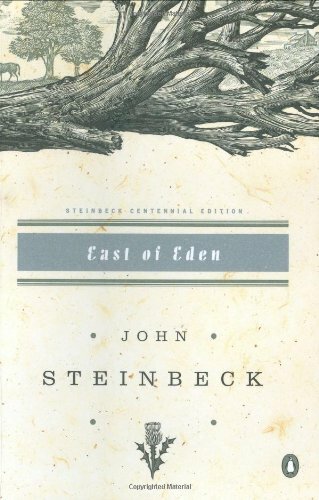 The novel is told through his perspective. Though the Koontz thriller is a mass-market commercial phenomenon, there is a fabulous sense of symbolism and subtle foreshadowing that no book-snob should dare turn their nose up to. Also, there is an ending that you probably won’t see coming unless you are a careful reader. And if you are a careful reader, you will be so impressed at how he leads up to such a pay off. Apparently there is a movie adaptation of this on Netflix. I haven’t seen it, but I’m leery because I don’t recall it ever going to theaters… Book is most likely better. So I pretty much read like a middle school boy. I love that books marketed to this demographic always have action, start to finish, as well as a decent amount of humor. You got to keep this rowdy bunch entertained, right? And I find myself in that ADD, keep me stimulated all the time camp. Enter Percy Jackson! This modern exploration of Greek mythology is brilliant. 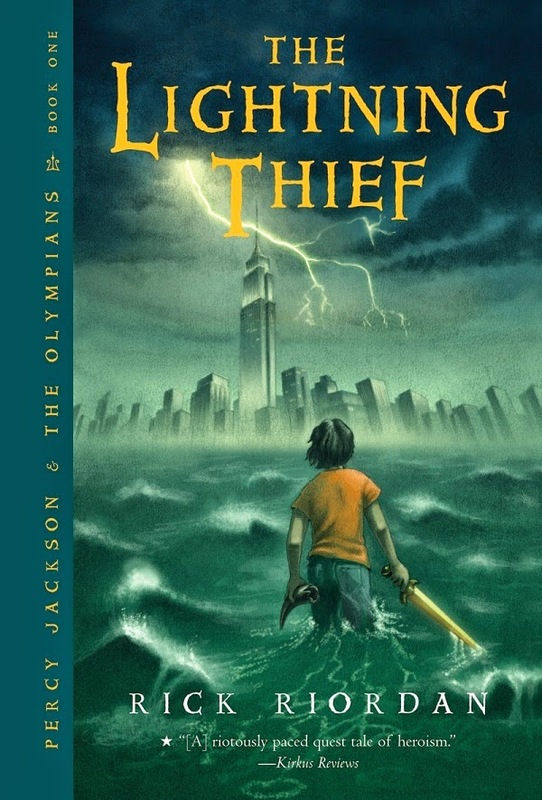 Told through the eyes of Percy Jackson, a regular boy who discovers he is a demigod, we get to explore Camp Half-blood (Pretty much Hogwarts for the children of gods) and even venture on a quest across America. Great storytelling, wonderful characters, and a simple, fast-paced read. This seriously is one of my favorite series ever. Five books in all. Start with Percy Jackson and the Lightening Thief. There is a movie adaptation of this one too. Just ignore that. So any time I’ve mentioned that I don’t like Christian fiction here in Bohemia, it has been shortly followed by a recommendation of Christian fiction…huh. Well this is no exception. Blink is a fabulous, action packed, sci-fi thriller, laced with a love story. Seriously love this book. 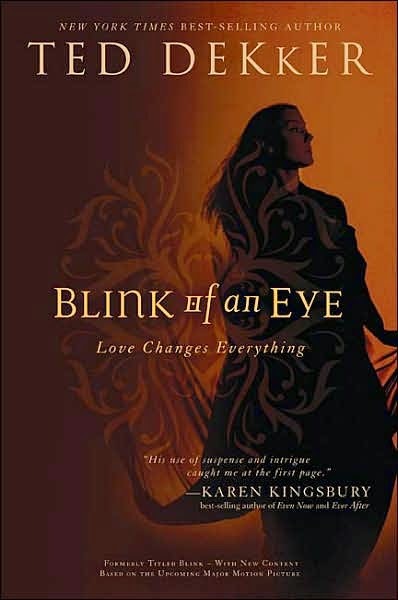 You can also find a second edition under the title Blink of an Eye. Could not put this one down and I know you won’t be able to either. There is not a movie adaptation of this one. There probably should be…Unless it is the same quality of the ones listed above. Then no. No one should touch it! Travel back to high school with one of my childhood favorites. This was a fluff read that totally changed how I viewed my relationships with people when I was in middle school. That said, don’t expect anything profound. Instead, just enjoy some of the good parts of those awkward years through this wonderful little story. 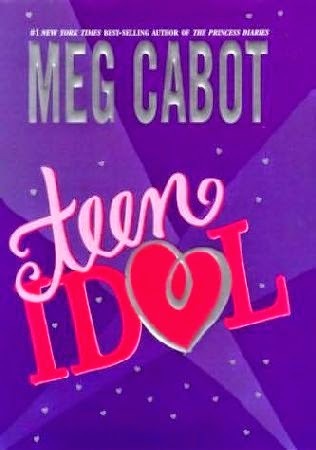 Teen Idol is about a girl Jen in her junior year of high school. She writes the anonymous advice column for her school paper and has become the confidant of most of the students in her small Indiana high school. Teen heartthrob Luke Striker comes to town to research a role, undercover, at her high school. And only Jen knows his secret. Great book that can be read in one sitting…a whole day sitting at the beach. Hope these recommendations are helpful for any of you looking for the brainless but fun book to take to the lake! I remember in elementary school always loving March. March is National Reading Month! In school, we always got more reading time, and would be read-aloud to more often, and got prizes for reading books through the month. It was heaven for little book-worm me! So to bring this pity party to an end, I complied a small list of books I hope to read in the very near future. Here’s the list! Gaiman is just brilliant. Can we all agree to that? I actually started this one last week and am pretty hooked. It’s a little odd and not for the kiddos, but I am enjoying the read. I love retellings. I love Jane Austen. Anybody there with me? The Jane Austen Project is an attempt for fairly popular authors to tackle a modern re-telling of each of Austen’s works. This was the first one out there and I’m pretty excited to get my hands on it! This one is a non-fiction book recommended by a mentor after talking about the current state of sexual deviance. It sounds interesting. A friend told me that this book was one of her favorites. She said she had never cried so much or laughed so hard at the hands of a novel. Tracy is a wonderful writer who is gifted in historical fiction. 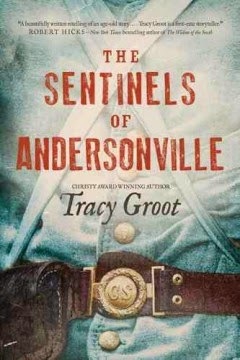 Her latest novel focuses on the Andersonville prison during the Civil War. I am itching to get to this one. What’s on the top of your to-read list right now? Let me know in the comments! Sign yourself up folks! We’ve got an awesome twofor today! If you enjoyed Susie Finkbeiner’s guest post on Monday, I highly encourage you to sign up for this giveaway. Susie has graciously agreed to pass along a copy of both Paint Chips and My Mother’s Chamomile. Both her published novels are up for grab today for one lucky reader. The giveaway will close 11:59 on March 19th. You have two weeks and six–count them–six ways to win! Give Susie’s blog, twitter, or facebook page a follow AND give Preppy Bohemia’s blog, twitter or facebook page a follow. Six chances for two awesome books. I’m tellin’ ya it doesn’t get better than this! The winner will be contacted on March 20th and the shipment of the books will follow shortly afterward. Please spread the words to your friends. I mean, come on, free books! I start out each summer feeling very ambitious. I have a mental list of everything I want to accomplish during the summer and somehow magically none of the things on that list get done. Well this year, that will not be the case!… perhaps. I know I want to finish Part I of my novel. I’m about ten chapters out from this, so I’m thinking a chapter a week… we’ll see if my characters are feeling the same pace. I also want to redecorate my bedroom and go through all of my boxes in the storage area in my parents basement. I think it’s odd that I haven’t lived at my parents for three years, and yet I have seemed to accumulate a lot of crap in that window of time. Consolidation must happen or I will end up on hoarders. As I thought over this summer, I began to think less and less of these things I wanted to accomplish and more and more about what I wanted to read. So I thought I’d clue you in to my reading list for the summer. I’m pretty excited about it! This is my list so far, but it will continue to grow in the next couple days. Feel free to comment with what you are planning to read over the summer as well as recommendations! I love to hear about a new book every now and again… or all the time!